Dental emergencies are quite frightening and often painful. Prompt treatment is almost always required to alleviate pain and to ensure the teeth have the best possible chance of survival. Excellence by Choice dental is equipped to handle all types of dental emergency care, so if you are in need of an emergency dentist in Morgantown, it is important to contact us at the first sign of complications. We understand that after hours dental emergencies can and do happen, so we try to make sure we are accessible at all times. If you are unable to reach our office during an emergency, please dial 911. Our team is here to help you in the event of an emergency, any time, any day. 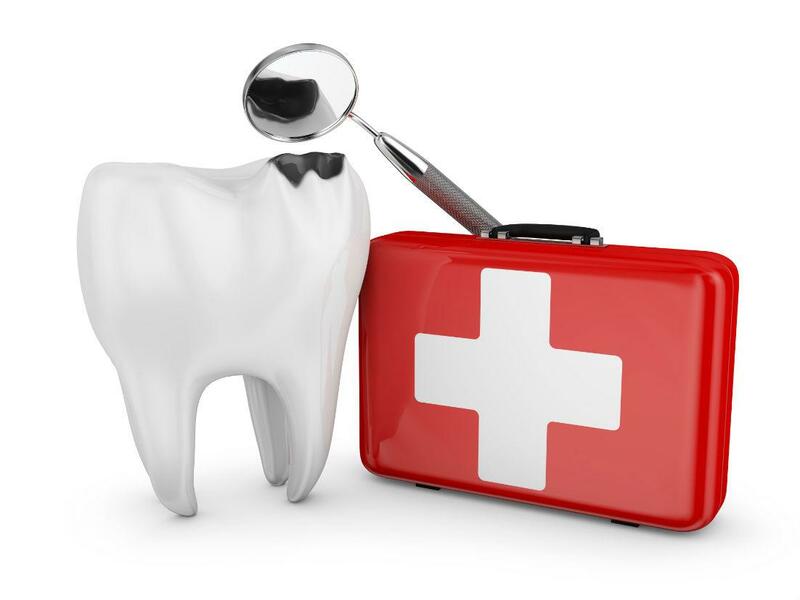 When your dental health is at risk, we will do everything we can to make sure that you're treated as soon as possible. While dental emergencies are rare, they can happen, and it's important to know how to take care of your teeth no matter what. Toothache – The first step is to contact us as soon as possible for evaluation and treatment – Do not put off addressing the problem, as a toothache can worsen to a serious infection and/or swelling. Use an over the counter medication like Ibuprofen, Tylenol (Acetaminophen), or Aspirin as recommended. Do not apply painkillers directly to the gums or aching tooth as they may cause irritation to the gum tissue. Try gently flossing to remove any lodged food or rinsing your mouth with warm water. If there is swelling, a cold compress may be applied to the outside of the mouth or cheek. Knocked out tooth – Whenever possible, find the tooth and bring it with you – it will help to evaluate the situation and determine treatment (If you cannot find the tooth, be sure to tell the dentist this, too). Be careful to hold the tooth by the crown (the part that is usually exposed in the mouth). Place the tooth in cold milk or sterile saline (do not use tap water if possible). Avoid any cleaning or rinsing of the tooth. Contact our office immediately, as knocked out teeth have the highest survival rate if they are returned to the socket within one hour of being knocked out. If you are unable to get to the office within an hour, attempt to re-plant the tooth yourself and contact our office. Broken Tooth or Lost Filling or Dental Crown – Do not attempt to use glue to replace your filling or dental crown. In some situations, a crown can be temporarily re-inserted at home with toothpaste or other over-the-counter temporary dental cement until you can get to the dental office. Contact us as soon as possible for evaluation and treatment. You may take a pain reliever such as Ibuprofen, Tylenol (Acetaminophen), or Aspirin to help ease discomfort. Abscess – An abscess is a serious conditions that can spread infection to the rest of your body if left untreated. Call us immediately for evaluation and treatment. To ease discomfort, you may rinse with warm salt water and use Ibuprofen, Tylenol, (Acetaminophen), or Aspirin as directed. Contact Excellence By Choice Dental in the event of any dental emergency - (304) 296-6534.